I read my first Agatha Christie mystery this year, The Pale Horse. I quite enjoyed it as a light, easy mystery. I had the same experience as you – I didn’t guess the culprit until the end either! I just read my first Agatha Christie last week, though my tour date is not until early June. I liked it, but the info-dump at the end was a bit wonky for me. I’m sure I’ll probably read another Christie in the future and it’ll probably be this one as it’s the one I’ve had recommended to me most often over the years. It’s supposed to be one of her best. I too thought she weaved the story together very well!! How lame am I? I’ve never read Agatha Christie. Gotta fix that! I think this is one of my favorite Christie books. I’ve been a Christie fan since my mother took me to see the movie adaptation, which is still one of my favorites. I think I’ve read nearly all of them. A Pale Horse is another of my favorites, though it’s much later in her career. Christie is wonderful. I actually had never read her books either until not too long ago and I think Murder on the Orient Express might have been the first one for me too. I highly recommend The Murder of Roger Ackroyd. Such a good mystery. I’m not a huge Christie fan, but I did read lots of her books years ago, and I agree that she does a great job keeping her readers guessing. I think I only figured out whodunit in one of dozen or more books of hers that I read. I know I read this one at some point, but I don’t remember much about it. You’ll be missing out if you skip all of Christie’s short stories. 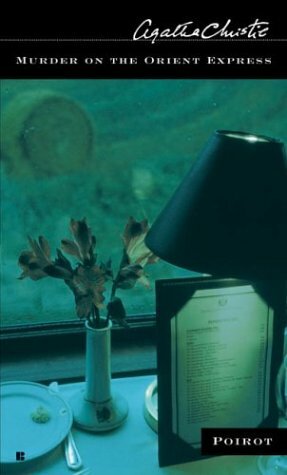 In particular, there are two collections that contain detectives that don’t appear in any of her books – ‘The Mysterious Mr. Quin’ and ‘Parker Pyne, Detective’. Both of these books are great fun, and great for a quick read in between things. I have loved Hercule Poirot since my first reading. I actually don’t think I’ve read any Christie books that didn’t feature that wonderful man. I definitely recommending reading more Poirot! Oh! That challenge sounds fun! I love Christie’s novels, especially the ones with Hercule Poirot and Miss Marple. I’m so glad you enjoyed this book. I did too. I’m very fond of Miss Marple so, if I may suggest, you give her a try for you next Christie. Murder at the Vicarage was the first one she appears in. 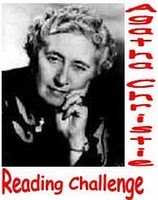 I also will encourage you to consider seriously the Agatha Christie Challenge. I’m in it and am gradually working my way through the books from the first to the last. I can definitely see her development as a writer. I’ll echo a couple of titles that have already been recommended: And Then There Were None and The Murder of Roger Ackroyd are top-notch!! I used to read a lot of Christie and this was one of my first of her books. Clearly I enjoyed it for me to keep reading them but I wouldn’t be able to recall it at all if it weren’t for the movie. Thanks for the link to the Christie challenge! Looks like a fun project for the summer- I’ve read them all, many several times, but never in the publication order.